The theme of the 2019 edition will be "Friendly plants: good botanical associations", which means combining plants with the same botanical needs. This means, not only being able to create beautiful gardens with the right combination of colors, shapes and flowering, but also to favor the right degree of eco-sustainability, with less need for maintenance and, obviously, with better results from the biological and aesthetic point of view during the course weather. It is no coincidence that the exhibition-market image for this edition, signed by Sofia Paravicini, is represented by two flowers capable of coexisting in harmony, namely the peony and the tulip. Two small insects have been added to this small bouquet of life, which are fundamental to the life of the entire ecosystem: an ant and a bee that, still in flight, approaches the tulip. Interesting and sometimes unique curiosities are also presented by nurserymen who participate in the exhibition-market each year, such as the Epipactis di Baradel, called elleborina, a genus that brings together several species of Italian wild orchids or the Central Park Fargesia collection, a genus non-invasive and non-infesting bamboo. Interesting a shrub malvacea of South African origin, but so adaptable that it can be cultivated in Italian gardens. His name is Grewia occidentalis presented by Donna di Piante. which completes its nutrition by attaching itself to the root of the plant, as mistletoe does. Scorzonera hispanica, called scorzonera of Spain, presented at Orticola da Floricultura Geel is widespread from Southern Europe to Siberia and is known for its alleged efficacy against snake bites. dark and shiny, presented by Pollici Rosa. and dimension, collected and preserved by nurserymen. South for nurserymen, which intends to make the most of the great plant and climate difference of our country. - Botanical jury composed of 7 experts who will judge the best botanical collections and the most significant plants for rarity and beauty. - Style jury that will deliver prizes for the best exposure, creativity, originality and career. the garden itself, the commitment of Orticola di Lombardia in the various maintenance works and the plants used. of approximately 3,000 square meters, as part of the urban redevelopment project of the Fiera di Milano district, curated by CityLife. Maintenance of the Palazzo Reale Garden continues, where an oasis was born for a pleasant break in the heart of the city. The goal of all these activities of Orticola di Lombardia is always to offer the Milanese the correct agronomic knowledge, never separated from the taste for beauty, by making available to the public open green spaces, suitable for leisure and moments of relaxation. Gifts to the city of which Orticola is very proud! Always considered a “plus” of Orticola, the free moments of meeting for adults and children, understood as laboratories, courses, demonstrations, book presentations, parks and gardens, both playful and amusing, as well as technical and informative, this year are more than 100, set up around the exhibition-market, in the three courses available (Dugnani 1, Dugnani 2 and Magnolia), in the stands of the exhibitors and in the space dedicated to CityLife. Increasingly increased over the years, they are now a tradition for visitors who expect to always find new and interesting ones, while for Orticola they are a confirmation of their mission to disseminate and promote the knowledge and protection of green in all its expressions . Fiorito ”, which deals with the good botanical associations in many different aspects, from the combination of rustic tropical plants, to the choice of those with Mediterranean climate needs up to know the behavior of species suitable for 2000 meters. Flowers, the exclusive space where, from 10.30 am to 6.30 pm, children from 3 to 10 years can participate, without mum and dad, in floral, DIY and artistic workshops for € 10.00. On Friday morning the workshops are dedicated to Milanese schools. of a fairy tale linked to the theme of "good associations" and of different things or people who are well together. Orticola 2019, from Friday, May 17 to Sunday, May 19 at the Indro Montanelli gardens in Milan. queues at the cash desks. of the exhibition, besides the moments of relaxation in the refreshment areas. 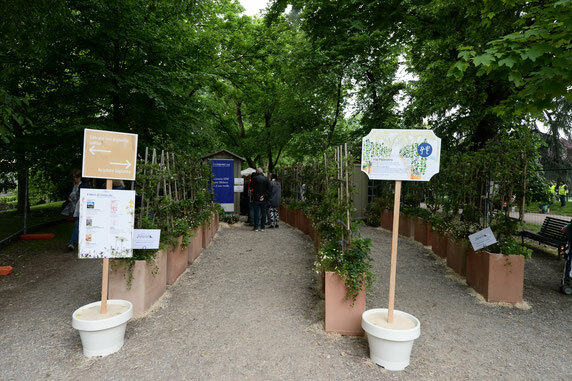 Orticola is also expanding "outside the gates" of the Public Gardens with the initiatives dedicated to the city of Milan by Orticola for Leonardo. On the occasion of the 500th anniversary of the death of Leonardo da Vinci and the extraordinary reopening to the public of the Sale delle Asse after the restoration, the Pergola dei Gelsi, reproduction in scale of the gigantic decoration that the Master designed on the walls and the ceiling of the Hall in 1498. In the Sala delle Asse a specific type of pergola is represented, or rather of pergola, where the structure is made directly with the vegetable element: it is the living organism, the tree itself, properly cultivated and modeled, which creates the arbor, until it becomes true green architecture. Big news this year for the FuoriOrticola, in fact the number of participants in this initiative is growing with a series of widespread events for the museums, galleries, streets and neighborhoods of the city that accompanies the days of the exhibition with open initiatives not to be missed ! Martini offering discounted entrances and a guided tour of the photo exhibition "MAGNUM'S FIRST". The collaboration continues, with different methods and times, also with the other museums. "The Secret Garden", a tribute to the romantic garden. Beyond the windows of the cloister, as in a glass box, a vegetable narration of small shrubs, perennial grasses and white blooms comes to life, framing the work of Arnaldo Pomodoro "Disco in the form of a desert rose", creating an elegant liaison chromatic with the nearby Giardino del Manzoni. through guided tours, the historical-botanical heritage with particular reference to the arboreal one. The Poldi Pezzoli Museum presents its "green paths", an example of good association between nature and art, at Palazzo Reale it is possible to visit the exhibitions in May with a reduced ticket, while "La Nazione delle Piante" is the focus of the visits tours that La Triennale offers during the weekend of the exhibition-market. A meeting on Andean biodiversity and a guided tour of site-specific installations with the Brera Academy of Fine Arts students are the initiatives that can be found at the Aurelia Josz Botanical Museum. Children also have their share of the show, participating in the workshop organized by MuBa Children's Museum. But FuoriOrticola is not only inside the museums, but also around the city. In the Cloister Nina Vinchi of the historical seat of the Piccolo Teatro in via Rovello, the Garden Club Milano proposes "Ikebana: nature goes on stage", a historical-educational exhibition of photographic images dedicated to the technique of ikebana flanked by compositions of fresh flowers that bring to the stage aesthetic values such as asymmetry, essentiality, full and empty space. "Profumo d’ortensie" is the exhibition signed by Giancarlo Iliprandi, visual communication designer and member of the Orticola Jury, who died in 2016. Painting has always been his passion and flowers his privileged subjects, hydrangeas above all. About twenty of these magical flowers are at Cristina Taverna's Nuages Gallery in Via del Lauro 10 from May 16th to June 1st. Traditions are now held by Comune di Verde in Villa Lonati (via Zubiani, 1), home to the Green Area, Agriculture and Urban Furniture of the Municipality of Milan, a place to discover the richness of plant life in its diversified aspects with initiatives carried out at hoc on Saturday 18 May. Last but not least, thanks to the Friends of Via della Spiga association, in the street of the same name on display the most fascinating green projects in the world, photographed by Matteo Carassale for Marie Claire Maison. This is the second edition of "Gardenology", which this year proposes an aesthetic dialogue between eight masterpiece gardens and as many author shots (immortalized by Lorenzo Pennati, styling by Cristina Nava), where outdoor furniture is the absolute protagonist with papers botanical-themed wallpapers and fabrics. 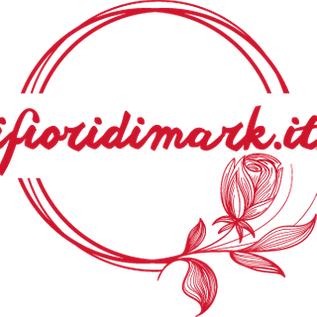 Founded in 2018, Orticola Art is a project conceived as part of the mission and activities of Orticola di Lombardia. In particular, for the three-year period 2018, 2019, 2020, Orticola Arte activates, on an annual basis, a series of artistic interventions specifically designed for public spaces in the city. Also this year the project is addressed to the Milanese schools, because it is important to address the youngest, since from them we must start to sow the seeds of a greater sensitivity towards the environment in which we are immersed. This year Orticola Arte, thanks to the intervention of the ArtD2 Gallery in Milan, has as its "traveling companion" the artist Pao, excellent "ambassador" for Orticola with the sharing of ethical, environmental and human mission and values. The 2019 Art Horticultural Project, dedicated to primary schools, is developed with the organization of some theoretical artistic workshops held by Pao and expressly dedicated to fourth and fifth grade students to transfer them the painting techniques that will be put into practice with the realization end of a mural on the entrance wall of the school. plants, fruits or flowers "friends" based on the topic Orticola 2019, but leaving the artist who will follow them during the workshops free interpretation. The chosen school is the Primary Dante Alighieri, part of the Pizzigoni Renewed Comprehensive Institute, in the Ghisolfa area north of Milan.